Written by Kevin George on October 12, 2018 Blog, Holiday ideas. How Is Email Marketing During The Holidays Different? Holidays are that time of the year when you like being with your family and buy presents for your loved ones. Now, in the world of getting things delivered at your doorstep; it’s a boon for businesses as sales are high during the holiday season. In fact, people spent an average of $967.13 cumulatively for Winter holiday shopping in 2017, coming only second to ‘back to college’ shopping. Owing to this, your customers and prospects are going to receive emails from other brands too, all vying to grab attention. At such times of competition, your holiday email needs to STAND OUT from the crowd by going the extra mile. A good user experience always sets for a higher recall value, be it upfront on your store or later on from your email. So, let’s learn top 7 tips that can help greatly improve your holiday email marketing preparations and in turn, the return on investments. Integration with an Email Service Provider such MailChimp, HubSpot, etc. Ideally, 82% of people who subscribe expect a welcome email. Adding the holiday feel to it during the season will increase the user experience you offer in them. A holiday-themed welcome email like the one below from Crate & Barrel can be a visual attraction for your subscribers. 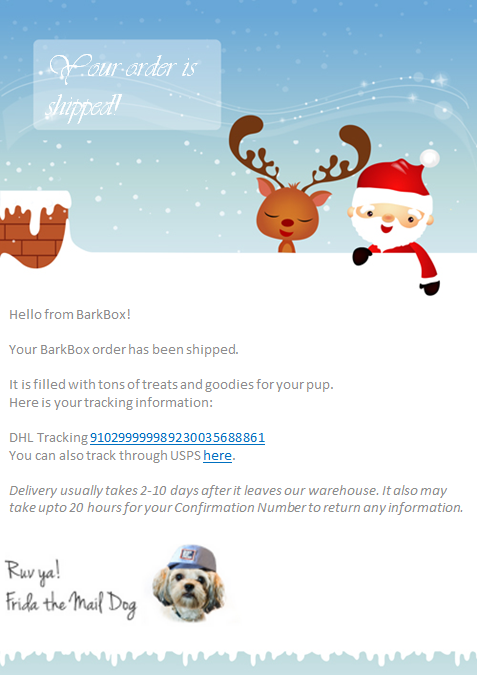 Similarly, you can add the holiday theme to your email to match the design on your storefront for easy relatability. As you can observe, the email design is quite simple. Yet, by adding their products in a Christmas setting they not only added the holiday feel, but also showcased their different products. The reason behind doing so is that 33% of email recipients open commercial emails based solely on the subject line. A crucial tip would be to avoid cliché subject lines such “No tricks only treats” or “Santa is coming to town” as these are like the ghosts of the past successful email subject lines. Holidays are the time of the year when people are going to scourge through social media to find inspirations for holiday-themed products. By adding photos of products in your inventory or going full-fledged by adding a holiday gifting guide can be a great way to increase sales. 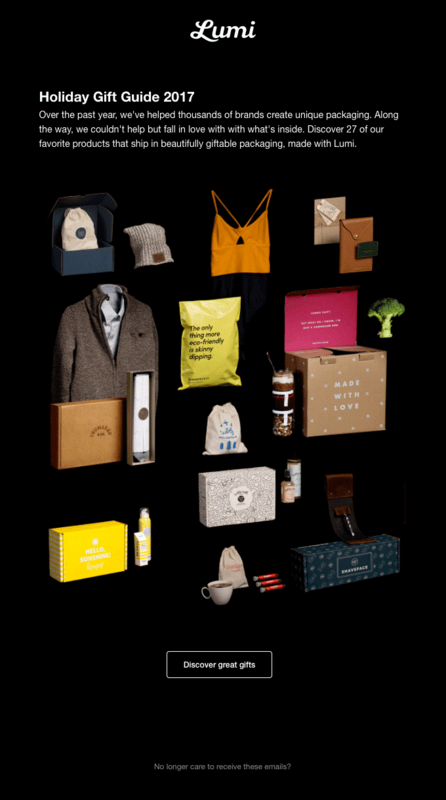 In the below email by Lumi, they have artistically displayed their packing materials along with the products inside the packaging. Sending this type of email to those leads who are right now just exploring your store, you are not only providing valuable and relevant information that they are searching for, but also promoting your products in real-world scenarios like the below email by Net-a-Porter. Additionally, you can integrate a recommendation engine plugin to your Woocommerce store to include similar products in your holiday guide email. Timing is of utmost importance to be taken care of during the holiday season. While most people complete their holiday shopping a week before, it is important to cater to last-minute shoppers. Create a sense of urgency by sending a reminder email at least a day before a key holiday to anyone who read your holiday guide late. In the below email by America’s Test Kitchen, they have specified till when the sale shall be continued. In order to create urgency, you need to send your emails at the right time, which brings us to the next tip. As stated earlier, most people complete their holiday shopping a week early, so your promotional email timing needs to be ‘right inbox at right time’. While there are not fixed timings of when you should send a promotional email but the rule of the thumb is 3-4 days before a sale. This is mainly for people to be ready with their Wishlist. Your promotional email timing needs to be ‘right inbox at right time’. Making use of an email automation will help making the email sending process easy as per the timing you have set. Additionally, you can also use email automation to send the last moment reminder email discussed above. Keen to learn more about email marketing for WooCommerce? See our full guide. About 3 in 5 consumers check their email on the go and 75% of Americans say they use their smartphones most often to check email – so it is very important that your email is rendered perfectly in mobiles. This is know as your content’s ‘responsiveness’. If your email is not responsive, the email client on your subscribers’ device will render it imperfectly and your subscribers may have a hard time reading your email copy and may skip to the next email on being troubled much. This is the most advanced type of emails and won’t be possible using stock email sender plugin of WooCommerce. These types of emails employ CSS animation wrapped around HTML coding and hence no less than a double-edged sword as these emails help improve user interactivity. The only limitation is that some email clients also don’t support CSS animations and would require fallback supports. On the brighter side, interactivity using CSS animation brings the most visually pleasing and functional emails that rely on user interaction and in turn user experience. 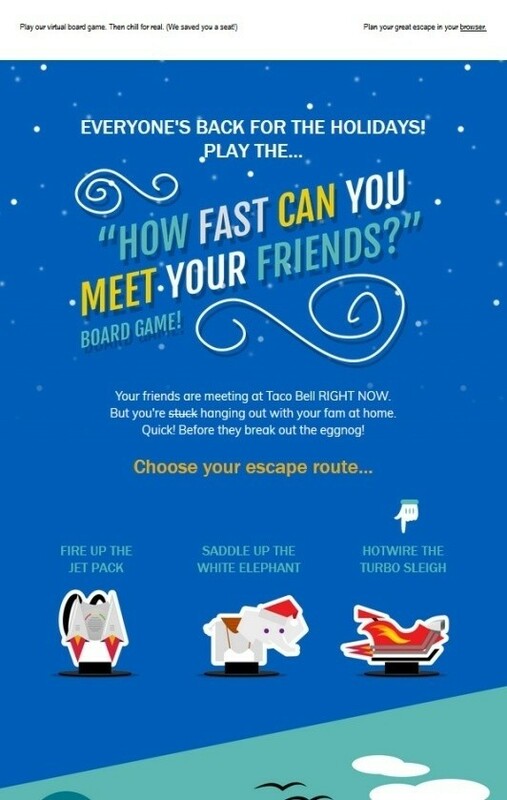 Brands such as Taco Bell have made use of interactivity emails to engage subscribers during the holiday season. Click the email above to experience the email! The holiday season is a great opportunity for different brands to reach out and increase their brand visibility. By adopting the above tips into your holiday email campaigns you can surely acquire new leads for your business and also improve the user experience for your consumers. We’d love to know what you are doing to improve your holiday email marketing? Have some unconventional tips? Let the world know – share your views in the comments below. Really love it and keep up the good work. These 7 tips is really helpful for me and keep posting team. Email marketing is a powerful way to turn leads into customers and customers into loyal brand evangelists. This seems to me the right definition of Email Marketing. Thanks a lot for sharing great tips for a successful Email Marketing. I got some so important tips from your post. I do hope it will help me a lot. 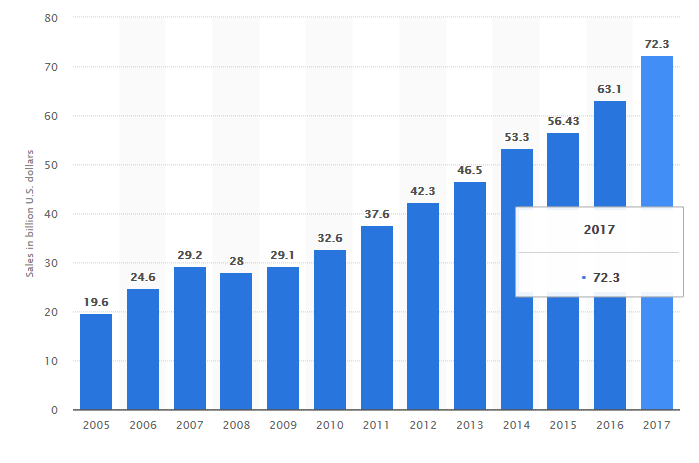 For good ROI, Email marketing is so powerful digital marketing strategy. For this reason, I love email marketing very much. I think Investing in email marketing is sure worth it — as long as you do it right.